Empire Motors is proud to help educate our customers with the car buying process. We understand how important this purchase is, and will make the process as smooth as possible. From the moment you decide to do business with us and beyond the sale, we will be with you every step of the way. Please read through our blog posts for helpful tips and resources. Let us know how we can better serve your needs. 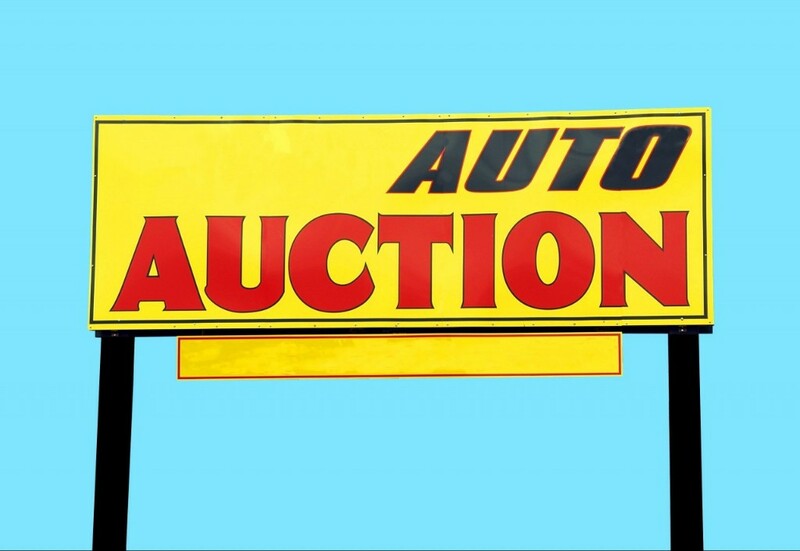 A growing trend I see from Consumers asking us about Public Auto Auctions. The perception is that you get yourself a bargain buying at one these auction. But that is often not the case. Reality TV and televised auctions have glamorized the process of buying at the auction. While I am sure that there are success stories, my experience is that most people end up getting burned. There are also individuals and companies that will go to auction for you, and for a fee, will buy a car for you at a dealer-only auction. In my opinion your "buyer" is likely going to find some kind of car so he or she can get their $500 or so flat fee, without your long-term interest at heart. I am sure there are some great people that do this, but you just have to assume that priority one is making their fees. That is human nature. While auctions say they inspect cars before they run through the lanes, my experience is that it is very rapidly done, and not very extensively. Usually they take the word of the seller, which is usually a dealer or bank. You better understand that auction cars are sold "As Is" which means you have absolutely no recourse. If it falls apart on the way home, gather the pieces up, they are yours. If you decide go to the auction alone ( I don’t recommend this) do your homework in advance. Get a list of vehicles in advance, run history reports on vehicles you might be interested in, and come up with the maximum you are willing to pay-then stick with that price. Auctions count on ego coming into play and count on those people who are determined to be the last person holding their hand up. When I was going to auctions weekly, you learned about “ringers”, people the seller brings to run the bidding higher if they see someone who is very interested in a car. Remember, too, auctions move quickly, and there is a reason for that. Auctioneers usually start a car very cheap to get the most people raising their hand, and to get them caught up in the bidding. You see the savvy buyers walk away quickly when the price is running up rapidly, leaving the amateurs to fight it out and overpay. Perhaps the most important question to keep in the back of your mind is “why is this car here”? New and used car dealers are in the business to make a profit, they have overhead to pay, and most have brick and mortar facilities. The biggest challenge dealers face is getting enough inventory to stock their lots. So why take a car to auction? Simply put, they don’t want to be responsible for selling these cars to the public because it doesn’t meet their standards. In all the years of running a dealership, I cannot count the number of times we traded for a car, sent it to the service department to check it out, only to find out it had issues. The first words out of my mouth were “send it to the auction”. So, multiply that by the number of dealers out there and you can see why there are so many bad cars sold at auction. In closing, auctions serve a purpose, and honestly, auctioneers are generally some of the nicest people you’ll ever meet. Just know the risks if you decide to go to an auction, you might get lucky and get a great car at a great price, but odds are if that were the case, the car would be sitting on a dealer’s lot. It is an exciting time and a right of passage to go out and get that very first brand new car. Most first-time buyers do all their research on the internet before ever actually stepping foot in a dealership – which is fine – but often times this leads to a frustrating experience. You see, what is supposed to happen and what actually happens are often very different, so don’t take everything you read online as the gospel. The fun part of researching your purchase is deciding which cars to look at and drive. However, this is also the time to plan your budget. There is nothing worse than falling in love with a particular model only to find out you cannot afford it. Although not nearly as fun, work out your budget based on your net monthly pay. A good rule of thumb that has been around for many years is no more than 15% of your net pay should go to your car payment. Remember, there are other costs associated with your car purchase, like insurance, gas, maintenance, etc. Now is a good time to “back into” the price you can pay for a car to get the desired payment. There are a number of car loan calculators online including one in our website: www.empiremotors.org that will let you put in the desired payment and it will tell you how much you can spend for a car. Be careful doing this however, the pertinent details are interest rate and length of loan. Base everything you do on a loan no more than 60 months if you are getting a newer vehicle. You want to be independent, and do this all on your own, but if you have a parent or relative that will co-sign your loan, I recommend this because you will almost always get a better interest rate and lower payment. You will get full credit for the loan and if you make the monthly payments on time, you’ll never have to do this again. A few thoughts to carefully consider: Unless you’ve saved a large down payment, your first car should not be your dream car, rather a vehicle to get you to your dream car. You should love your first car, plan to pay it off completely, or close to it, so you have good equity for the next car. Also, how you make the monthly payments on your first car loan will affect you for many years to come. If you make the payments on or before your due date, your next car purchase will be very simple and you’ll be able to get the best interest rate offered. Consider enrolling in auto-pay so you know the payments will be made on time, just make sure you have enough money in your account to clear the car payment. In closing, buying your first car is a huge decision, do not rush it. Be practical and not impulsive. If you blow your first loan by not making your monthly payments on time, or worse getting your car repossessed, you will be banished to tote-the-note used car dealers for years to come. We were discussing this in our meeting last week, about all the loose rubber you see on the road these days. I suggested much of the problem is underinflated tires. As many of you head out on the highway for the upcoming summer vacations, taking a few minutes to verify you have the proper tire pressure can save you a breakdown and possibly your life. Back in 2000, I was working for a local Ford Dealership at the time when Explorers were rolling over. The burning question was whether it was the vehicle or the Firestone tires. It seemed pretty obvious to me…most of the rollovers were in Texas, Arizona and Florida, the states with the hottest weather. I recall the day that Ford figured out the source of the problem, which was that the bad tires were coming out of a particular plant in Ohio. Most people don’t know this, but Firestone refused to do anything in spite of the fact that the evidence was indisputable. Ford stepped up and paid for the entire recall itself. Millions of people got brand new tires, although at my dealership, over 100 customers never took advantage of their free new tires in spite of the fact that they could get seriously hurt. Although it never made big news later, the government ruled that is was in fact the tires. Through all this, I got a real education on tires and I wanted to share that with you. I did not realize until this issue that the belts in a tire were glued to the sidewall. That was the problem Firestone had…poor glue that once it got hot, the glue melted and the tires came apart. Hence, worse problems in the hot weather states. We also learned that the age of tires was a huge problem AND as you know, under inflation is a huge issue and something I talk about often with my customers. The studies done at the time showed that at over 5 years of age, a tire begins to deteriorate regardless of the miles on the tire. I also learned that it’s not uncommon for people to buy brand new tires that have been on the shelf for MORE than five years. Luckily, each tire has a stamp on it that you can read for yourself and it is really quite simple to determine the age of any tire. Each tire has a Department of Transportation number on the sidewall that you can identify because it starts out with DOT followed by 10, 11, or 12 letters or numbers. The last four numbers are the ones to pay attention to. These four numbers indicate the week and year the tire was made. As an example, if the last four numbers of the DOT code were 1510, this would signal the tire was made in the 15th week of 2010 and you’d know not to buy that tire because it is over 5 years old. You should check this on your current vehicle AND when you buy new tires. One other important note: the identification number on a tire is not unique to that tire like your VIN is to a car. The numbers on your tire are intended to identify batches of tires, like in the case of the Explorers above. The entire number on a tire tells NHTSA which factory made the tire in question. Never buy a tire that is not stamped DOT, those have not been deemed safe by the Department of Transportation. There is pending legislation now to identify every single tire with a unique number, and would be registered to you so you can be identified in the case of a recall. One last thing, nobody can eyeball a tire and tell if it is 20% low on air. Go to a tire shop or get yourself a good tire gauge. Tire pressure should be checked monthly and certainly before any trip. Enjoy the upcoming Summer season and please check our website: www.empiremotors.org for more blogs and feel free to email us your comments or suggestions. Seat belts save lives. Using one is "the single most effective way" drivers can prevent death in a car accident, according to the National Highway Traffic Safety Administration, the government agency charged with keeping motorists out of harm's way. Yet when 26 million American children go to their classrooms aboard school buses, chances are they'll be heading to school unbelted. Only about 20 percent of the nation's 480,000 school buses have seat belts available, and only six states –- New York, New Jersey, California, Texas, Louisiana and Florida -– have laws that begin to address seat belts on school buses. NHTSA and school bus industry associations say, even without belts, school bus travel is statistically safer than any other form of ground transportation. On the other hand, the National Transportation Safety Board -- a separate government entity -- and safety advocates say more can be done to protect children. "A child takes their first ride home from the hospital in a restraint, and then is in a seat belt," said Art Yeager, a long-time school bus safety advocate who has testified before Congress on the subject. "The first ride they ever take in a motor vehicle unrestrained is in a school bus, and that doesn't make sense." Lap belts can provide a benefit to passengers who wear them properly. The lack of upper body restraint and loss of seating system integrity resulted in a fatal injury in the Port St. Lucie crash. In severe side-impact crashes, properly worn lap and shoulder belts reduce injury related to upper body flailing commonly seen with lap belts only and, therefore, provide the best protection for school bus passengers. Although school buses are extremely safe, properly worn passenger seat belts make the school bus safer, especially in severe side impacts and rollovers. For those raised wearing seat belts, some of these sound like common-sense conclusions. But they counter four decades' worth of NHTSA's research and positions. 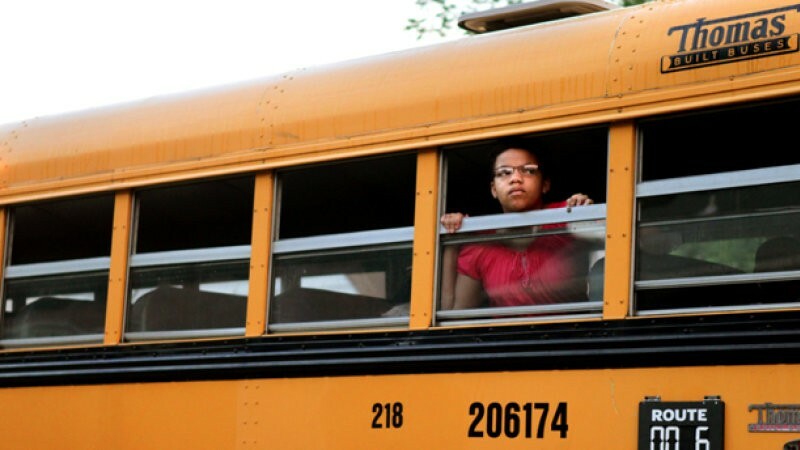 On February 16, 2012, a school bus transporting 25 students to an elementary school in Chesterfield, N.J., pulled away from a stop sign and into the path of a dump truck along Burlington County Road 528. Isabelle Tezsla, 11, was killed in the ensuing collision. Her two sisters -– the three were triplets -– were among five students seriously injured. Ten students sustained minor injuries and nine were uninjured. A little more than a month later, on the afternoon of March 26, 2012, a school bus failed to yield to a tractor trailer with a full load of sod at an intersection in Port St. Lucie, Fla., while transporting 30 students home from school. Aaron Beauchamp, 9, was killed in the crash. The NTSB does not make habit of investigating single-fatality road accidents. But these two crashes gave the board a rare opportunity to examine the role of seat belts in school bus safety. Florida and New Jersey are two of the six states that have seat belt laws. On each bus, some children used the available seat belts and some did not. On the Florida bus, four video cameras captured footage of the accident and aftermath. Both were side-impact crashes. Doctors from the Children's Hospital of Philadelphia and University of Virginia used the video to produce a frame-by-frame analysis for each of the 31 students on board and mapped what happened to their bodies. They also knew which students wore seat belts and which did not. "It was very clear the more severely injured students had been unrestrained," said Dr. Mark Zonfrillo, one of the doctors from the Children's Hospital of Philadelphia who prepared the analysis for the NTSB. "And had had there been more unrestrained, they would have suffered more serious injuries." School buses provide the safest form of ground transportation in the country, according to NHTSA. On average, about six children die per year in school bus accidents. Buses account for just 0.2 deaths per 100 million vehicle miles traveled, compared with the 1.44 fatality rate per 100 million vehicle miles traveled for regular cars and trucks. And buses are far safer than cars. For novice drivers, students are 50 times more likely to arrive at school alive if they take a school bus instead of driving with teen friends or by driving themselves. Buses are even safer than when mom and dad are driving: Kids are 20 times more likely to arrive alive than if they're driven by a parent, according to Blue Bird Corp., one of the nation's largest school bus manufacturers. The National Association of State Directors of Pupil Transportation Services say these numbers are an achievement, and attribute them to compartmentalization, a safety design that specifies the precise spacing between seats and the height of seat backs. It keeps kids from being thrown about the bus, but is only designed to be truly effective in a frontal crash. "Compartmentalization has really worked," said Bob Riley, executive director of NASDPTS. "The statistics are overwhelming." Yeager, the bus safety advocate, is skeptical. He says school bus travel is more dangerous than those statistics portray. School buses operate approximately 180 days per year, they don't operate in the wee hours of the morning, statistically the most dangerous times for a fatal wreck, and they don't operate in July and August, traditionally the most dangerous months for vehicle travel. So he views it as an apples-to-oranges comparison. And the NTSB seems to agree. In its conclusions on the Chesterfield crash, the NTSB said, "School buses with compartmentalization alone or lap belts are at risk." The NTSB merely makes recommendations and has no power to issue regulations. Only NHTSA has that power. But in 2002, NHTSA released a study that praised compartmentalization and concluded that lap belts did not improve protection for school-bus occupants in frontal crashes. This study has formed the basis of opposing seat belts for more than a decade. NHTSA has cited it in rejecting seat-belt rules in both 2007 and 2011. Many industry groups have used the 2002 study to argue against the added expense of seat belts. Depending on the size, a typical new school bus costs in the vicinity of $75,000 to $85,000. Outfitting a single bus with seat belts can cost anywhere from $5,485 to $7,346, according to NHTSA, based on the number of seats and whether a lap belt or shoulder-and-lap belt is ordered. Should seat belts ever be required, student transportation director Riley fears such a mandate could have an unintended consequence. If school districts cannot afford more expensive buses, he says, they'll buy fewer buses and cut services. Students forced to find alternate transportation to school could find themselves in higher-risk modes of travel, like mom and dad's car, ultimately increasing the number of student traffic fatalities. NHTSA agrees. In August 2011, it denied a petition filed by several safety organizations that would have mandated the installation of shoulder and lap belts in all newly manufactured school buses. In its rejection, NHTSA cited those unintended consequences as one reason. It cited the 2002 study as another. But the 2002 study is limited in scope – it only analyzed lap belts, not shoulder-and-lap belts, and the findings only pertained to frontal crashes. "Side-impact crashes cause more injuries and death," said Zonfrillo, from the Children's Hospital of Philadelphia. "They're far less common. But they're more dangerous." Protecting our country's most precious cargo comes down to money. In 2007, NASDPTS opposed a federal rule requiring lap belts based on the 2002 study, and remained neutral on shoulder-and-lap belts because the government could not fund the added expenses. "We were supportive of the lap and shoulder belts, as long as commensurate funding was provided," Riley said. Even in states with seat-belt laws for school buses already on the books, money matters. New York's law allows for school districts to opt into participation; only 50 of 850 districts have done so, according to Yeager. In Texas, the seat-belt law is contingent upon the state allocating the necessary funds. "I'm a proponent of seat belts on school buses and a proponent that they're used properly," Riley said. "Our one caveat as an organization is that we don't want any kids losing their opportunity to ride." Federal law mandated the inclusion of seat belts on passenger cars and light trucks in 1968. Forty-nine states have laws mandating their use. In 2013, NHTSA spent $13.7 million on its familiar "Click It Or Ticket"advertising campaign, which reminds motorists to buckle up or face fines. Seat-belt use has been rising in the United States. Eighty-five percent of Americans wear them, according to a 2011 Centers For Disease Control study, as do 88 percent of children. "I hear that study come around every year around Memorial Day," Yeager said. "I tease them and say, 'You didn't check the school buses, did you?'" Pete Bigelow is an associate editor at AOL Autos. He can be reached via email at peter.bigelow@teamaol.com and followed on Twitter @PeterCBigelow. I read an interesting post on Facebook recently and it instigated to do a little research on the start and history of headrest in vehicles. As we are all well aware of that headrest are a key safety feature of an automobile, but here are some facts that you may enjoy. Head restraints are an automotive safety feature, attached or integrated into the top of each seat to limit the rearward movement of the adult occupant's head, relative to the torso, in a collision — to prevent or mitigate whiplash or injury to the cervical vertebrae. Since their mandatory introduction in the late 1960s, head restraints have prevented or mitigated thousands of serious injuries. A patent for an automobile "headrest" was granted to Benjamin Katz, a resident of Oakland, California, in 1921. Additional patents for such devices were issued in 1930 and in 1950,and subsequently. The major U. K. supplier of head restraints, Karobes, filed patents in the late 1950s and was still competitive in 1973 when British tests evaluated the quality of these devices. Head restraints must be at least 700 mm (27.6 in) above the seating reference point in their highest position and not deflect more than 100 mm (3.9 in) under a 372 N·m (3,292 in·lbf) moment. The lateral width of the head restraint, measured at a point either 65 mm (2.56 in) below the top of the head restraint or 635 mm (25.0 in) above the seating reference point must be not less than 254 mm (10.0 in) for use with bench seats and 171 mm (6.73 in) for use with individual seats. The head restraint must withstand an increasing rearward load until there is a failure of the seat or seat back, or until a load of 890 N (200 lbf) is applied. An evaluation performed by NHTSA in 1982 on passenger cars found that "integral" head restraints—a seat back extending high enough to meet the 27.5 in (698.5 mm) height requirement—reduces injury by 17 percent, while adjustable head restraints, attached to the seat back by one or more sliding metal shafts, reduce injury by 10 percent. NHTSA has said this difference may be due to adjustable restraints being improperly positioned. 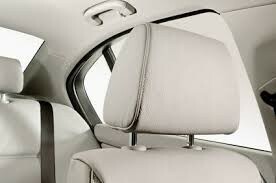 Another interesting information I found while surfing the internet was that the headrest of car seats is deliberately kept detachable and sharp so that it could be used to break open the glass of car pf car in case of fire and emergency. The car's glass too are kept easily breakable from inside. Very few people know about it and thus can't save themselves in case of emergencies. It’s National Tire Safety Week, so if you haven’t checked your tire tread or air pressure in awhile or had your tires rotated lately, there’s no time like the present. All of those things are key to keeping your tires safe for the road and many people don’t do them on a regular basis. In fact, government stats show only 19 percent of drivers properly check and inflate their tires. The NHTSA also says one in four cars have significantly under-inflated tires which is a big safety issue. Under-inflated tires flex more and build-up heat that can lead to failure and an accident or blowout. The NHTSA estimates failures cause 11,000 accidents each year. Too many drivers buy a tire based on initial price or appearance. Tire selection should be based on the correct size recommended for the vehicle and its load recommendations. You should consult with a knowledgeable tire or automobile dealer www.empiremotors.org about selecting the proper tire for your typical driving patterns. Buy a tire gauge and keep it handy in your car at all times. It will inform you if you need to add more air to your tires. You can find them at any automotive retailer or supply store. Check your tire pressure at least once per month, and especially before a long trip. Remember, under-inflation is a tire’s No. 1 enemy, because it can cause damage that may lead to tire failure. However, overinflation can cause uneven wear plus handling and stopping problems. Use the manufacturer’s recommended air pressure listed on the sticker of your vehicle’s door jamb or owner’s manual as a guide. Always check the pressure of your tires when they are cool or cold. Driving heats up tires, making readings incorrect. If your tires show uneven wear, ask your automotive service professional to check for and correct any misalignment, imbalance or other mechanical problem involved before rotation. Check your vehicle alignment periodically. It’s especially important to have an automotive professional check your alignment if you notice your vehicle is pulling to one side when you’re driving. Inspect and measure your tire tread. You can do this yourself. Try the penny test. Place a penny in the tread of your tires with Lincoln’s head upside down and facing you. If you can see the top of Lincoln’s head, your tire has less than 2/32 of an inches of tread and you are ready for new tires. While you’re at it, check the tire sidewalls to make sure there are no gouges, cuts, bulges or other irregularities. Make sure you do not overload your vehicle. An overloaded vehicle puts stress on tires that can cause damage and lead to tire failure. Check the manufacturer’s load recommendation, which can be found on the vehicle information placard inside the driver’s side door post, or in the vehicle owners’ manual. Find your tire’s birth date. The sidewall of the tire can tell you how old your tires are. Some automobile manufacturers recommend replacing tires after six years, but as a rule of thumb any tires more than 10 years old should be replaced regardless of wear. Look for “DOT” followed by several digits—the last four numbers are the date of manufacture. So if you see 2315, that will tell you the tire was built in the 23rd week of 2015. One word of caution: Many manufacturers only put the date code on one side of the tire, as required by law, which may mean the date code may be on the inboard side of the tire, making it difficult to read. Pros and Cons of Buying a Vehicle from a Private Seller!!! I am often asked about buying a used car from a private seller versus a dealership. Unbiased, I am always a fan of buying a factory certified car when available, but usually those are only a few years old and many people cannot afford them. There are also benefits to purchasing a non-certified car from a reputable Used car Dealership. The good ones are careful what they sell and won’t sell a used car until it has been checked over. There are a lot of people who need to buy the nearly impossible to find $5000 used car, but there are many more who need a used car from $7500 to $12,500 and often they turn to private sellers, which is fine if you do your homework and proceed with caution. One thing I really like about private sellers is the ability to ask questions about prior maintenance, type of oil used, previous accidents, etc. My experience with most people is they will be honest about what a car needs in the way of repairs, and often this info is invaluable. While there are pluses to buying from previous owners, there are things to be aware of too. First and foremost, watch out for your personal safety. Even if the seller wants to converse by text or email, insist on a phone conversation before agreeing to look at the vehicle. You cannot sense scams or nervousness over a machine. After a phone conversation, if you are feeling confident about the seller, arrange a meeting in a very safe place. More and more, police stations are accommodating transactions at their stations. Worst case, use a 7-11, a Starbucks, or a busy gas station like Arco Shell or Chevron. Meet your seller and have a clear copy of your driver’s license with you, but cross out your address where it is unreadable. Insist on driving the car alone and set a time limit, say 10 minutes, and leave the seller at the meeting place. If at this time, you are ready to buy the car, ask about the title and if there is money owed on the car. Online you can find what your state’s title should look like. It is a good idea to check a history report, I recommend carfax.com, but any of them are better than none. Empire Motors provides a copy of FREE Carfax report on our website: www.empiremotors.org on every vehicle we offer for sale. You are looking for odometer issues, previous wreck damage, or flood damage. Don’t finalize the deal on the spot. Do your negotiations the following day if you want the vehicle. Settle on the price, then arrange a second meeting to exchange money and title (after you are confident the title is in order). This is where it usually gets a little dicey. Having the vehicle is not a gurantee of ownership but a properly perfected title along with the vehicle is. That's why buying from a dealer is a safer bet as dealers in most states including California a are licensed and bonded by the local DMV. Meeting at a bank and doing a wire transfer is the safest way, next preferred way is cashier’s check. Go online and get a Bill of Sale, and be sure to look at the seller’s driver’s license to make sure it matches the name on the title. This should complete your transaction. Something to be cautious of, if you feel any pressure from the seller, it is probably because it is a used car dealer trying to disguise himself as a private seller. This is a huge red flag to move on to a different car. This sounds like a long process, but it really isn’t. The worst thing that can happen is you buy a stolen car, a car with many previous issues, or getting a car with a lot of problems. You can’t 100% guard against this, but following this guide will minimize your exposure. Hope you find this helful and be sure to share with friends and family to help them avoid being a victim of fraud and scam. Buying a Car: Do You Need to Use Premium Gas? The process of buying a car often involves a lot of research, and sometimes your research will reveal that the car you want requires premium fuel. This can be a big disappointment, since premium gas often costs 30 to 50 cents more than regular gas on average. Can you buy the car anyway and just skip the premium gas? We did some research and have the answer. A discussion of whether or not you need to use premium fuel has to begin with an explanation of exactly how premium fuel differs from regular gas. Many drivers think premium is more refined than regular or that it's cleaner, but that's not the truth. In fact, it's simply less combustible than regular gas. What exactly does that mean? Although we'll spare you the mechanical details, the important thing to remember is that engines running on less combustible fuel are less likely to experience pre-ignition than powertrains that run on more combustible regular gas. Pre-ignition leads to engine knocking: You can sometimes hear it in older cars or high-performance vehicles that require premium gas and instead have a tank full of regular. Too much engine knocking could cause damage, and it certainly means that your engine isn't running very well, which isn't something you want to deal with after buying a car. Considering that premium fuel seems to prevent engine knocking, why don't all cars take premium? The answer lies in the engine's construction. A typical car, for example, doesn't need a high-performance engine, meaning its engine uses a simple design with a low compression ratio that runs just fine on regular gas. Most high-performance or luxury cars, however, have more power and a higher compression ratio, which means that their engines are more prone to pre-ignition when using the wrong type of fuel. 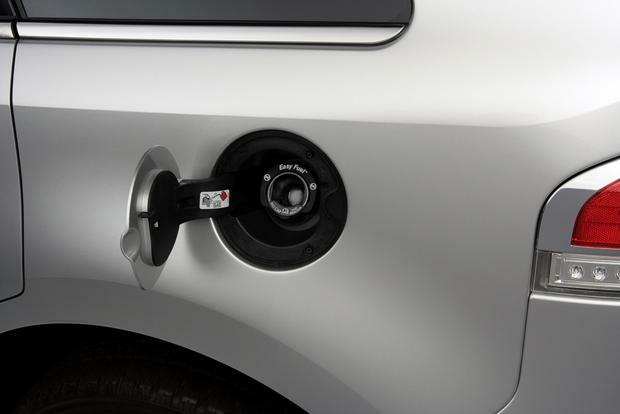 So you'll want to use premium fuel in a luxury car, right? Not necessarily. Most luxury cars have engine-knock sensors, which means that they won't allow the engine to knock, even if you put in the wrong type of fuel. Avoiding engine knock prevents engine damage, so your engine will likely run just fine even if you put in regular rather than premium. If your engine isn't knocking, regular fuel might still cause some problems. One of the main issues that can come from skipping premium fuel is a loss in performance. Specifically, you might be able to feel that the car is a little slower if you put in regular fuel. You also might notice a drop in fuel economy, since the engine probably isn't running at its most efficient level, even though it isn't knocking. This brings us back to the question of whether you have to use premium gas. In many cases, the answer is probably no -- you'll likely be able to use regular fuel with no noticeable issues except for minor losses in performance and gas mileage. If your owner's manual says that premium fuel is required, then you should do it, but your car won't blow up if you occasionally opt for regular. If your owner's manual says that premium fuel is recommended, then you can use regular gas all the time with no worries. Today is World Wide Web Day !!! This is certainly close to heart for the ones who may have experienced phone/internet outage. We had to hold the fort for 2 days without phone or internet last week and it was a horrible experience. The phone company took their sweat time to come in to repair and it felt like we were living in stone age. It's been only 25 years since the World Wide Web went world wide and to image the impact on our daily lives is incredible. How did WWW Day begin? While most parents expect their children to go to college, fewer than half of all families have started an education fund. With the average cost of public college on the rise, it’s more important than ever to start saving early. The sooner you start, the easier saving will be, and there are a variety of options to choose from. Here’s an overview of some popular college savings resources. It may not be possible to amass thousands of dollars at once, but a simple way to start saving for your child’s education is to set aside a few dollars each week. If your budget is already tight, you may be able to reduce your variable expenses, like one fewer dinner out each week, and put the savings aside. Another idea is to ask relatives to help out. Instead of them buying your child large gifts for the holidays, you could ask them to get a smaller, token gift and to donate the difference to your child’s college fund. For generations, U.S. savings bonds have been the savings vehicle of choice for a child’s future. Savings bonds are backed by the full faith and credit of the U.S. government and, depending on the type of savings bond, may have fixed interest rates. Plus, the interest your savings bonds earn are not subject to state or local income tax. Additionally, redemption of certain savings bonds for qualified higher education expenses may be eligible for tax exclusion. A Coverdell Education Savings Account is an account you can use to pay for your child’s future education expenses such as tuition and books. Though it’s not specific to college (Coverdell ESAs can also be used for elementary and secondary school), it’s another way to set money aside that could grow tax-free until withdrawn. If you’ve started saving for retirement with a Roth IRA, you already have access to money for your child’s education. A Roth IRA is a type of IRA that allows your after-tax dollars to grow tax-free. If you take a deduction from your Roth IRA before the age of 59 ½ you may have to pay additional tax. However, there are certain exceptions where you may not have to pay the additional tax, including for distributions that are not more than qualified education expenses. There are two kinds of 529 plans: a college savings investment plan and a prepaid tuition plan. Prepaid tuition plans are often sponsored by the state government and are therefore based on the cost of an in-state public college education. The amount is locked, and you can pay all or part of the cost without worrying about the price rising each year. A college savings plan, however, is similar to a 401(k) or IRA—your contributions are spread over the investment options you choose (such as stocks or bonds) and are subject to the fluctuations in the financial market. Everyone knows you should save for the future, but if you also have debt, it might seem tricky to figure out which should be your priority. For most people, the answer is both. Balancing savings and debt-elimination doesn’t have to be difficult, but it sometimes requires a bit of planning. Here are some pointers on how to save money and pay off debt at the same time. In order to reduce your debt while saving money, you need to set a realistic goal for each. A good way to do this is to designate a percentage of your income to set aside as soon as you get paid. Then decide how much of that amount to deposit into savings and how much to put toward your debt. Eliminating high-interest debts like credit cards first makes financial sense, simply because the 18 to 20 percent interest many credit card companies charge can add up quickly. However, it’s also important to have an emergency fund of at least three months of income, in case you experience a job loss or other emergency. High-interest debt takes money from your checking account that you could otherwise put toward your future. Consider this: If you have $1,500 on your credit card and your interest is 18 percent, paying only the minimum of $37 per month means it would take over thirteen years to eliminate the debt completely, costing you $1,760 in interest. However, if you put just $10 more toward your monthly payment in addition to the minimum, you’ll have the debt eliminated in under four years and only pay $557.59 in interest. Creating a budget and tracking your spending is a sure-fire way to identify extra money that can go toward your goals. This may mean packing your lunch for work instead of eating out, or postponing your vacation this year. If your goal was to create that emergency fund by saving 10 percent of your earnings, it would take you two and a half years to get three months’ income set aside. Nudge that up to 20 percent and you could reach the same goal in half the time — just 15 months. Each person’s financial situation is different and life circumstances can change dramatically over time. For example, if your employer matches your 401(k) contributions, you’ll get a 100 percent return on every dollar you invest. So you may want to maximize your contributions, even if it will take longer to pay off your debts. Similarly, if you’ve paid off all of your high-interest loans, it may be time to start siphoning more money into your savings or investments. Whatever your financial situation is, it’s also important to look over your strategy every few months to ensure your plan is making the most of your money. Visit our website: www.empiremotors to view more money saving ideas !!! While bad credit can take seven to 10 years to be removed from your credit report, you don’t have to wait that long to start improving your credit health. How long it takes to rebuild credit varies with each person, but taking appropriate steps now could result in future amendments to your score taking the appropriate steps now could benefit you in the long run. It’s difficult to predict how quickly anyone’s credit score will change because it depends on the details contained in each individual’s report. Because it takes at least seven years for credit details to be removed from a credit report, someone with several missed payments over the past two years could expect it to take longer for their score to improve. Someone with a few missed payments six years ago could see a faster improvement, provided the payment history since then has been excellent. If your credit report contains inaccuracies that negatively impact your credit rating, having them removed may result in an immediate lift to your score. Get a copy of your free annual credit report and look at each item carefully. For example, if a debt was mistakenly applied to your name, or if you have a record of a delinquent account that you always paid on time, you can apply to have the item removed. Your credit utilization ratio is the part of your credit report that shows how much credit you’re using compared to what you have available. For example, if you have $20,000 in available credit, and you’re using $5,000 of it, your credit utilization score would be 25 percent. Paying off outstanding debts to keep your credit utilization below 30 percent may positively amend your credit score. A credit utilization ratio of 20 percent or lower is even better. Getting rid of your credit cards and closing your loans probably isn’t the answer to a bad credit score. In fact, closing down accounts may hurt your rating. The better solution is to manage the credit you have wisely by making timely payments and controlling your spending habits. Showing a history of good paying habits can improve your score over time. If you don’t have any credit available and you don’t qualify for a credit card, consider applying for a secured credit card. These cards work just like regular credit cards, except you have to put down a deposit ahead of time. Depositing $500 onto the card, for example, gives you $500 to use. Unlike a checking account, your monthly payments on the card can be included in your credit report. The United States may be one of the richest nations in the world, but only a little over half of U.S. adults are considered financially literate. Few states have mandatory classes in personal finances for high school students, which means it’s often up to parents to teach their teens about money and to give them a good foundation for financial literacy. Here are some pointers about financial literacy for teens to help prepare for financial independence. If you’re a teenager who doesn’t have a bank account yet, talk to your parents about opening one and using it as a tool for discussing personal finances. Teens should understand that a bank account is more than just a place to store money. There are often fees for using the account and, in the case of a savings account, interest paid to the account holder. A bank account can also lead towards getting a secured credit card once there’s a sufficient account balance. Having a good grasp of compound interest is fundamental to financial literacy, yet one third of adults in the United States have a poor understanding of it. Simply put, whether you’re talking about a savings account or a credit card, when interest is applied to money, that interest will also have interest applied to it. Over time, the value of the money can grow exponentially. However, compound interest also applies to debt. If you owe money on a credit card, for example, the compound interest applied to what you owe can quickly exceed the amount you originally borrowed. Any high school student who has taken an exam or brought a report card home realizes that our society uses scores to measure merit. So even if you don’t benefit from having a good credit score today, you can understand it will be important in the future when you want to buy a house or a car. Every time you borrow money, the lender records how well you have paid it back, which counts toward your credit score. When you want to borrow more money, the lender will look at your credit score to help decide whether you’re a risk worth taking. The lender can also use your score to determine how much interest to charge you. Sooner or later, everyone learns to live within their means. As a teen, learning to live within a limited budget now can avoid the transition that often accompanies going out into the world. A good way to do this is to create a budget from an allowance or summer job. If you don’t have a source of income yet, ask your parents about giving an allowance for specific items, like clothing and cell phone bills, rather than paying for those items themselves. Using a budget will teach you that any purchase, such as a new phone, will most likely require a sacrifice in other spending to make up for it. The importance of saving money for the future is a lesson that will pay off for decades to come. If you have an allowance or a part-time job, talk to your parents about starting a savings account specifically for saving towards a long-term goal, like going to college or buying a first car. Then, at each payday, put a percentage of that money into the account. Your parents might even consider illustrating that saving money makes money by matching any contributions you make to that savings account. Regardless of how you approach the topic of personal finance, discuss any decisions or issues with your parents first before making financial decisions. We are glad to have been able to share this knowledgeable information with our customers and are always here to bring you tips and ideas to help improve your life with better understanding of finance. If you noticed your credit score has gone down since the last time you reviewed it, there’s probably a good reason. To make sense of it, compare these common reasons for a drop in a credit score to how a new creditor might interpret those actions or behaviors. Your payment history is a record of how well you pay back loans. Creditors prefer clients who pay their bills on time and in full each month. If you are late on a payment, or more than one, new creditors may be concerned if you will be late on their payments. If you skip a payment, creditors might ask themselves if you will take their loan payments seriously. If you default on a loan by missing several payments, creditors may wonder if you will default on a new loan, too. Before lending you money, creditors like to know that your budget can handle the new loan payments. If you have a lot of debt already, it could make it difficult to pay back a new loan. If you borrowed more money recently, this could affect your credit score. Creditors are less likely to lend money to you if you recently took out a new loan or two. Your credit card debt increased. A sudden increase in spending could make new creditors wonder when you will pay it all back. If you max out your credit cards, creditors may worry that you might not be able to pay back a new loan if your debt load has already increased significantly. 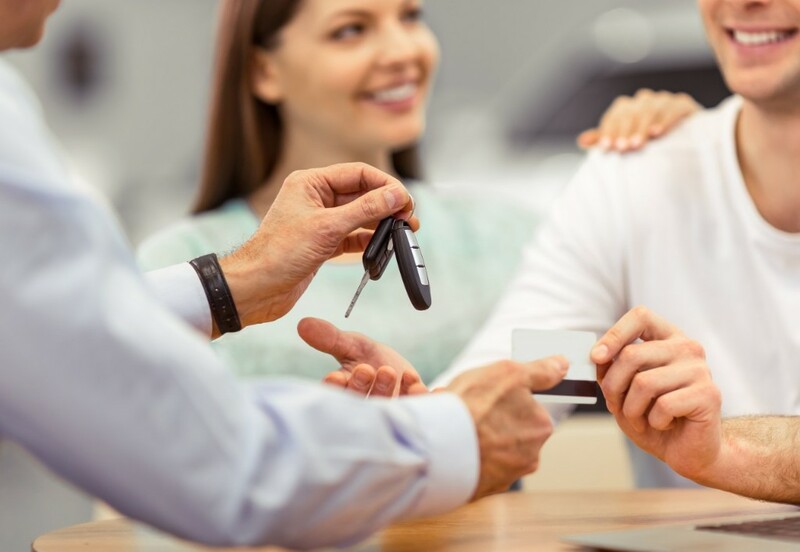 Empire Motors is happy to assist and analyze your credit history and help you securing an #autoloan when the time right for you and also guide you in #creditrepair. Visit our website:: www.empiremotors.org to get more details and read more blogs. Most of the information on your credit report remains there for seven years. Since most loans take years to pay off, it would make sense that creditors would want to know your track record. If you recently applied for a lot of new credit, even if you didn’t accept it, this could set off red flags to creditors that you may be having money problems. If you stop using loans and credit, then creditors can no longer see how well you pay back loans or make payments on a credit card. If a creditor has sued you, this could damage your appeal to future creditors, who don’t want to worry about paying for lawyers. You have a tax lien imposed on you by the IRS, creditors might wonder if this financial burden will make it hard to pay back a loan. If you have a court judgment against you, for child support or other reasons, creditors may be concerned if you can take on more debt. The information posted to this blog was accurate at the time it was initially published. We do not guarantee the accuracy or completeness of the information provided. The information contained in the TransUnion blog is provided for educational purposes only and does not constitute legal or financial advice. You should consult your own attorney or financial adviser regarding your particular situation. For complete details of any product mentioned, visit www.transunion.com.